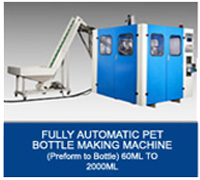 The PET bottle is a great success in many countries. And no wonder, producted by the biaxially oriented blow moulding process, PET or Polyethlene Terephthalate– bottles combine outstanding performances and aesthetic qualities. They give you the super crystal clarity needed to show any product to advantage. They have excellent carbonation retention properties and a good barrier to oxygen. 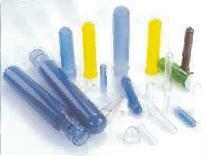 Extremely resistant to breakage, light to handle and transport, and safe to health and environment. 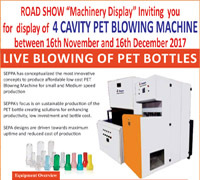 To the advantage of PET itself, the extraordinary characteristics of the SEPPA PET Bottle Blowing machines are added simplicity, compactness, reliability and flexibility. 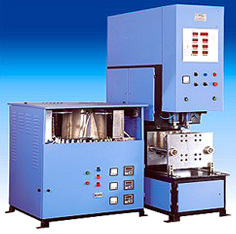 Quickly installed, the machine is ready for producing bottles of various shapes and contents as the changing of the moulds are rapid. Renowned for these advantages, it is the small “two steps” machine which is the most sold in world and gives satisfaction to hundreds of producers for various different applications like mineral water, carbonated Softdrink project equipment, edible oil, detergents. A range of new markets with a promising potential. 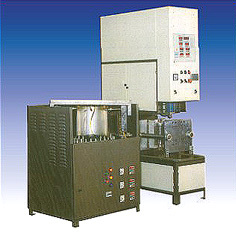 A system of small modular units has many advantages over one large machine. You can begin small with the minimum investment. As Business grows, additional units can be acquired. Production volume can easily and economically be adjusted to market fluctuations. 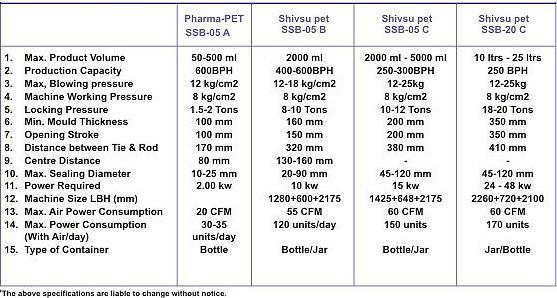 Bottles of different sizes and weights can be produced simultaneously on different units. Change-over from one production to another can be rapidly effected. 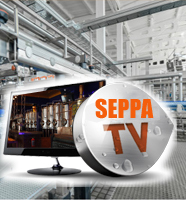 The SEPPA PET system is well known for its solidity and reliability according to world standards. A simple system to operate means short training for operators. 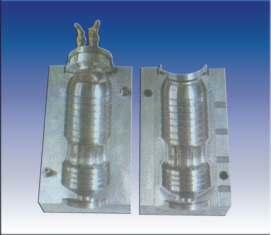 As the machine requires very little maintenance, cost related to no operating machines are negligible.